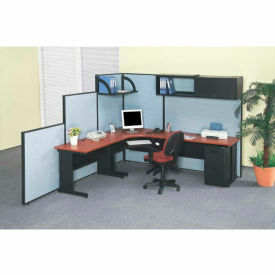 Interion® Office Cubicle Partition Furniture Creates Customized Office Work Spaces. Interion® Office Partitions optimizes partitioned work spaces with components made with 1" thick scratch resistant laminate work surfaces on charcoal finished steel frame. 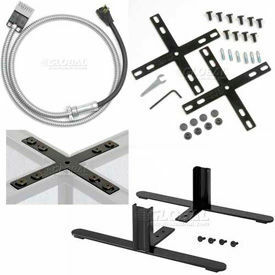 Surfaces feature threaded inserts for easy assembly. Desktops include cable management grommet. Includes adjustable leveling glides for uneven surfaces. 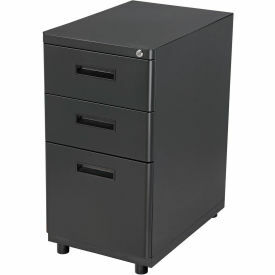 Styles are Desks, Purchase, Optional Bridge or Return with Desks for L and U-shaped workstations. Cherry or Gray finish surfaces available. Easy assembly. Other components include Hanging Shelves & Overhead Cabinets, Flip-Top Cabinet, Hutch, and File Pedestals. 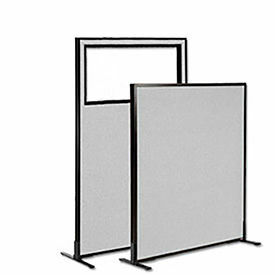 Click Here to see our Interion® Office Partitions collection.